Who said diets do not work? " I beg to differ". 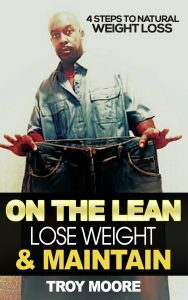 Troy Moore lost close to 50 pounds NATURALLY by dieting, eating healthy and walking everyday. A healthy weight increases your chances of living better and longer. Anyone can lose weight and become healthier if they get the right information, tap into their inner strength, even better, draw strength from others who have been there.